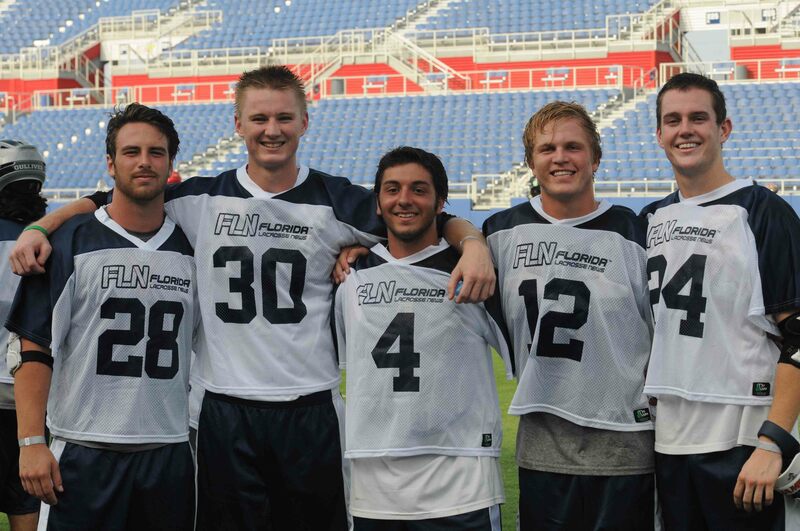 Shown above at the 2014 FLN All-Star game (coming back next year – maybe) at FAU, from left to right, Boca Raton’s Harrison Rodormer (played football at Jacksonville), Jupiter’s Braylen Sampson (Bryant), and Benjamin’s Anthony Cicio (FSU, who doubled as our inside writer for the Seminoles), McKenna Johnston (Washington and Lee) and Jerry O’Connor of Yale. For the first time, there are Floridians on all of the men’s Final Four D1 teams, how about that?!!! In addition, St. Leo’s appearance on the big stage in the DII championship game Sunday marks the first by a Sunshine State Conference team and the 11 Floridians on the roster . The women’s DII championship game has already been played, with our Florida Southern Mocs (with eight Floridians on the roster), finishing as runners up. Olivia Ferrucci is on North Carolina’s roster. In the DIII championship, Salisbury features two Floridians, Bobby Kilian and Andrew McIntyre. PrevFIT Men: Logan Sweeney Earns USILA All-American Honors! NextBreaking: LHP Hires Former McDonogh Girls’ Head Coach Chris Robinson as Head Coach of Girls’ Program!